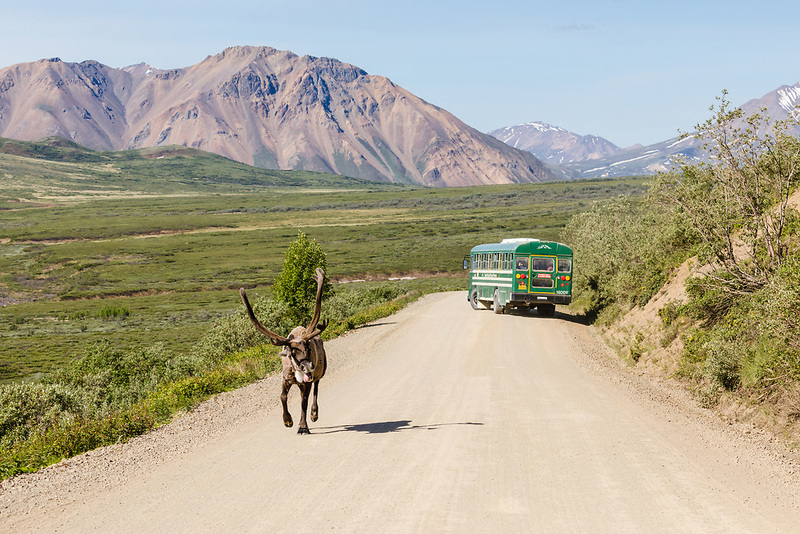 Caribou (Rangifer tarandus) runs up Polychrome Pass past a park bus on the Denali Park Road in Denali National Park in Interior Alaska. Summer. Morning.